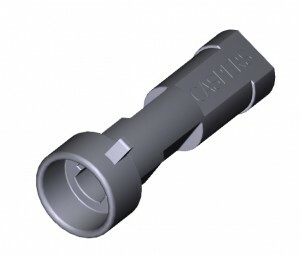 The round Delphi connector (PN: 12065287 ) is typically used in sensors and transducers in automotive, agricultral, and industrial applications. CASPER’S has developed an easy way to protect the factory wiring. Items are constructed of virgin-only OEM spec materials (30% glass filled nylon), weather-tight, and exclusive to CASPER’S ELECTRONICS.